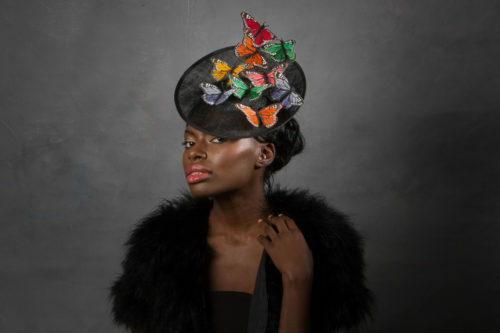 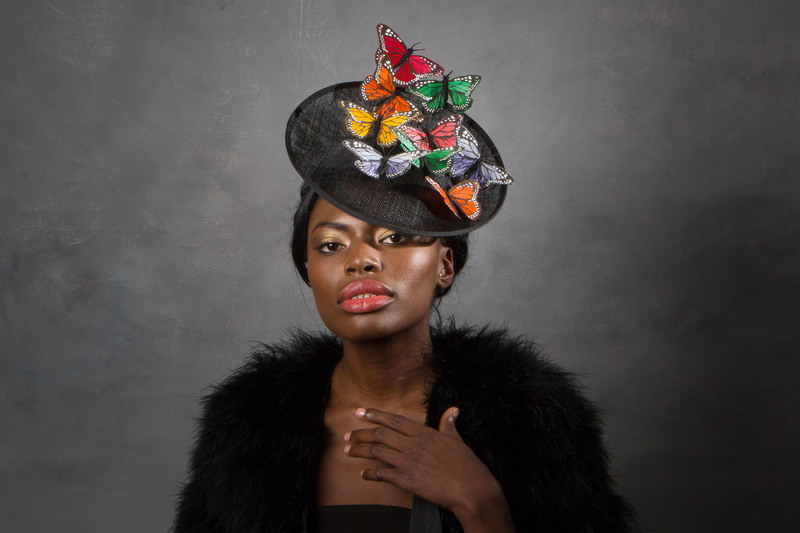 This is a beautiful black saucer fascinator for wedding or Ascot and is adorned with an array of multi-coloured butterflies made from feathers. 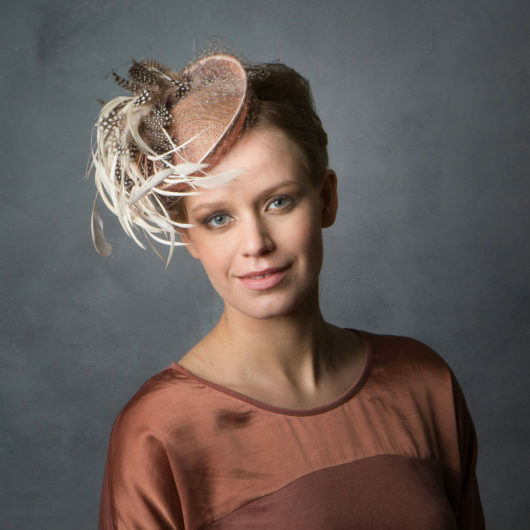 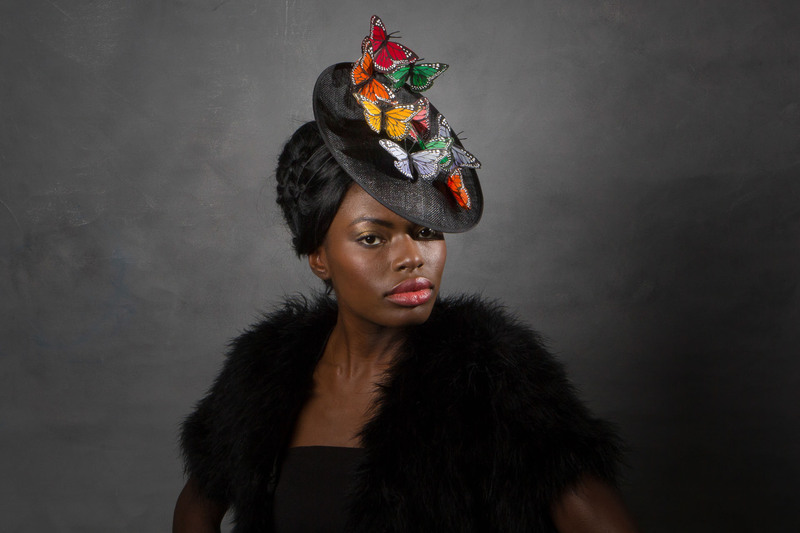 This piece was featured in the top 10 Ascot Hats for 2016 in the Independent. 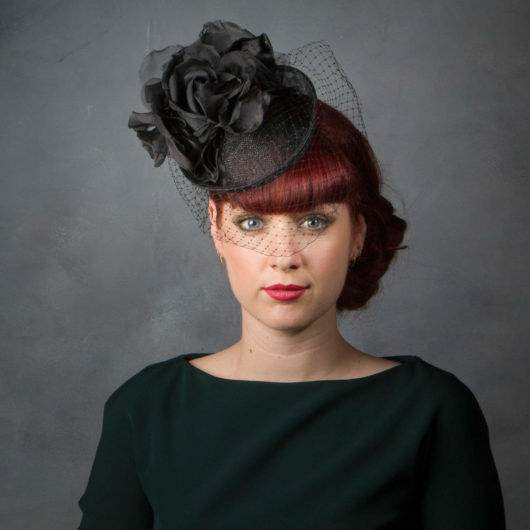 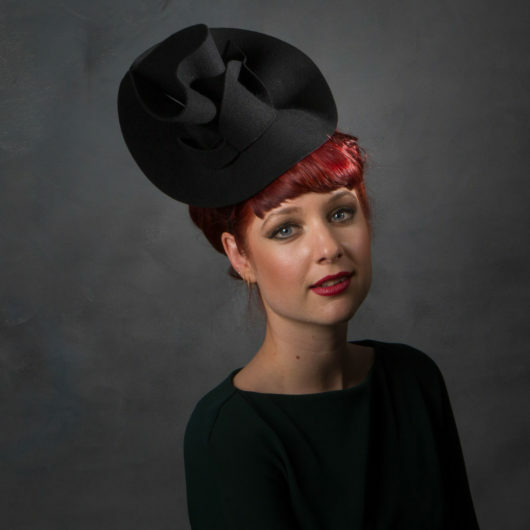 Black sinamay held with millinery wire alice band.